After touching down from Los Angeles at 7:25am, this reviewer was planning to brave the jet-lag and make his way to Rod Laver Arena to catch Scorpions supporting Def Leppard on their Hysteria tour. Unfortunately Scorpions’ vocalist Klaus Meine was instructed by doctors to rest his voice and the terrible news was delivered to fans mid-afternoon via Facebook. However, this meant there was a HUGE opportunity for a local band and the coveted spot went to Dallas Crane! After all four members graced the stage, guitarist and lead vocalist Dave Larkin kicked off the set by quipping “we’re all the way from the eastern suburbs!” Larkin further stated with a grin “I hope you’re aware we’re not the Scorpions, so please don’t grow anything at us” before launching straight into two songs without introduction. Leading into third song No Through Road, Larkin continued showing off his dry Melbourne humour; after stating “much like the catwalk; the roadie told us no going down there!” Larkin also altered the lyrics during the chorus to incorporate the previously mentioned orders. Before kicking off fourth song Beer Drinkers and Hellraisers, Larkin addressed the crowd in regards to a small game they wanted to play; whenever the audience heard this sound (insert end chords and drum run), they were to go wild. Asking drummer Steve Pinkterton for a test run, first time through was “just crap“, second time “was good but we can do better” and third time was the charm! After quipping again about their long trek from the eastern suburbs, Larkin asked if anyone in attendance was from there, before smirking and dedicating the next song Get Off The Dope to them. A seamless transition into a cover Rock N Roll by Led Zeppelin showcased just why Dallas Crane were selected to fill the opening slot, as the energy from the ever filling room kept rising and rising! After this drew to a close, Larkin dryly quipped “it was a new song and in fact being played for the first time ever.” Ladybird followed and when that drew to a close, we were treated to an introduction of each band member who received a well-deserved round of applause. Sit On My Knee – the band’s only Top 20 song “thanks to a push from Jimmy Barnes – you might have heard of him” really got people moving. As the song drew to a close, Larkin addressed the audience with “you know what to do” in reference to the previously mentioned game. Unfortunately, all good things must come to an end, but the best was saved for last; drawing the show to a close with “a surprise”, the band launched into Let There Be Rock” by AC/DC. As Rod Laver Arena had filled to an almost full level, the excitement were lifted to another level as 30 minutes before the start of the show, wrap around screens dropped down with a countdown timer. The last five minutes were topped off by Personal Jesus by Depeche Mode, which ended perfectly alongside the countdown timer reaching 0:00; the screens lifted to reveal lead guitarist Phil Collen directly behind them, vocalist Joe Elliott mid stage and rhythm guitarist Vivian Campbell, bassist Rick Savage on either side of drummer Rick Allen were on the riser at the back for opening track Women. After making his first of many trips down the catwalk, Elliott came back to the mic stand in time to kick off the vocals for Rocket. The crowd was singing along at the top of their voice during the chorus, before both Collen and Campbell showcased that their talents haven’t faded after all these years on either side of Allen. The huge crowd showed their appreciation as Savage made his first venture down the catwalk symbolising the start of Animal, before Elliott and co slowed it down a little. Fans were treated to an amazing laser show during Love Bites that went all the way to back of Rod Laver Arena; ranging from red to blues, purple to white, the crowd was showered in multiple colours. Whilst the crowd had already been quite vocal, everyone in attendance somehow to lift it to the next level during Pour Some Sugar On Me; when the lights briefly turned off, the loud cheer that erupted almost lifted the closed roof off! Elliott took time to walk down the catwalk to a standing ovation celebrating “31 f*cking years of Hysteria“, thanking fans for the chance to take it around the world in dribs and drabs. This lead to him mentioning how over the last 31 years a lot has happened, including the introduction of 26 year veteran Campbell who kicked off the intro to Armageddon It. After Armageddon It draws to a close, there was an on screen tribute to fallen guitarist Stephen Maynard Clark – at first, it showcased a still image of Clark holding a dual neck guitar, before old concert footage showed Clark playing the intro to Gods Of War. This was a very nice touching tribute that shows even after all these years, Clark is never forgotten! After leaving the stage briefly at the end of Armageddon It, Elliott started Don’t Shoot Shotgun standing next to Allan, before making his way to the entrance of the runway and standing back to back with Collen. You could forgive any band for showing signs of tiredness considering how much energy already extruded on stage, but Def Leppard made it clear that even after close to 40 years there are no signs of slowing down! During the middle of Run Riot, Elliott got “everyone from the front to the back” to raise their hands and clap along, before ending the song with his arms outstretched halfway down the catwalk, to another huge roar of appreciation. 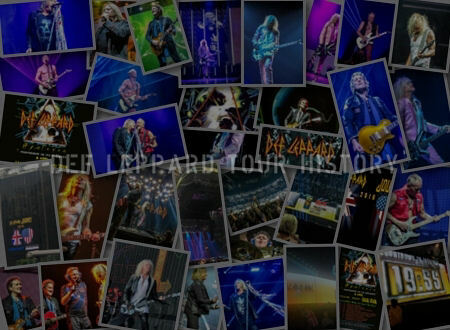 Hysteria showcased flashback photos/videos from during the original years of the album, ranging from magazine articles to live concert material. The catwalk got some serious use, as Elliott/Savage spent time down there during the first verse and both Collen/Campbell played side by side during the bridge. Drawing Hysteria to a close, Elliott threw in a small treat as he concluded with “we can be heroes, just for one day” from David Bowie’s Heroes. Whilst the encore consisted of songs on both sides of the ‘Hysteria’ phase, it kicked off with a cover of Action by The Sweet, before Rod Laver Arena lit up in a sea of white during When Love and Hate Collide; fans all around held up their cell phones with lights shining towards the stage. The energy lifted once more as Let’s Get Rocked got people out of their seats; it didn’t matter whether they were on the floor or along the wings, they were singing at the top of their voice and dancing along! At the conclusion, Elliott was blown away by the response, before asking if the crowd can make more noise and show appreciation for Allan. Second last song Rock of Ages kept everyone singing and dancing along, before both guitarists made their way down the catwalk and signalled the start of final song Photograph, as old negatives of the band cycled across the video screen through the entire song. If you’re from Sydney and still haven’t purchased a ticket, you would be stupid to let such an amazing opportunity pass you by, considering Klaus and the Scorpions will be there! Here we are, folks! 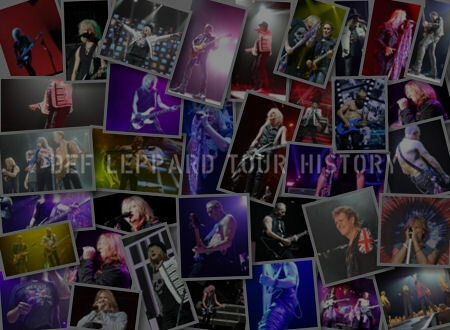 Some seven months after the initial announcement of British hard rock icons Def Leppard touring Australia with one of Germany’s biggest rock acts, Scorpions, was announced from touring juggernauts Live Nation. Both Def Leppard and Scorpions are indeed on Australian soil touring all major cities. Well, all of them except Melbourne, unfortunately. If you’re reading this review expecting me to lament on Klaus Meine, vocalist of the Scorpions for pulling out of his commitments to perform in Melbourne due to being ill, you’ll be sorely disappointed. It is disappointing Scorpions didn’t perform in Melbourne, but I’m not going to get on my high horse and cry heresy. To be honest, I’m more disappointed in the comments I’ve read on social media from entitled types about Meine’s eleventh-hour departure. Unfortunately, human beings get fatigued and sick. That’s life. However, I do wish Meine and speedy recovery for the final show in Sydney on Saturday, 10th November. I don’t know why I would have anything to complain about as I was one of the lucky few who got to see Scorpions perform in Melbourne back in 2016 as part of their “testing the waters” tour which has gone down in my top 10 concerts I’ve witnessed in my entire life. It’s up there with me travelling to Germany to Wacken Open Air to see Grave Digger perform as one of the headliners or even as going as far as travelling to a small rural town near Hamburg to see one of my favourite band’s Stormwarrior. As you can probably tell I have a strong devotion to German heavy metal, but I digress. The Scorpions show which took place in Melbourne in 2016 was wholly different to your conventional rock outing. While we didn’t get elaborate lighting, lasers and pyrotechnics, we did get one helluva show. I guess in hindsight if Scorpions were to perform in Melbourne last night the crowd would have been treated to much the same. An incredible show performed by some of the best musicians the heavy metal world has to offer. With only a few hours notice to choose a replacement, Melbourne was treated to East Melbourne natives, Dallas Crane. The very same ARIA chart-topping alternative rock ensemble who’s highest peaking single “Sit On My Knee” which features Jimmy Barnes, opened the night’s proceedings. Dallas Crane is nowhere near the same level as Scorpions, obviously. But they put on a fantastic show which got my feet tapping and the crowd moving throughout their entire set which featured originals like the aforementioned “Sit On My Knee”, no appearance by Jimmy Barnes sadly. Dallas Crane also threw in some covers too. 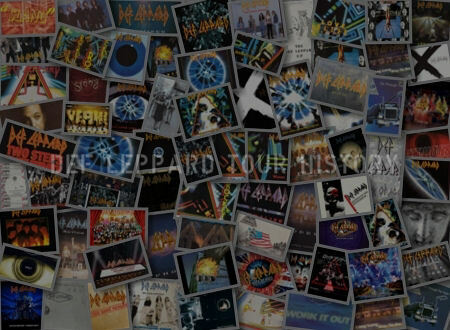 Notably, Led Zeppelin‘s “Rock And Roll” and AC/DC‘s “Let There Be Rock” as their finale. The crowd were enthusiastic about the band’s set, giving the band a thunderous applause as they finished up their short, but sweet set. And with that a horde of Def Leppard roadies bum rush the stage meticulously working in unison like an atomic clock to prepare the final act. I guess some of that German efficiency rubbed off from Scorpions crew to Def Leppard’s. One thing I did have a little chuckle about was the way the band advertised their new pale ale from Elysian. A massive screen descended from the ceiling like the monolith from 2001: A Space Odyessy to proclaim it’s “great refreshing taste” from a booming American voice. I felt like I was back in America being bombarded by advertising. It was literally in your face and loud as hell counting down the minutes until Def Leppard hit the stage. Def Leppard, a band which has become synonymous with the decadence of the 80’s and its highly suggestive sexual tones with song titles like “Pour Some Sugar on Me” makes their sixth appearance (If I’m counting correctly) to Rod Laver Arena in Melbourne. Tonight was a special night as it marks the band’s 30th anniversary of their highly acclaimed and multi-platinum, now diamond selling release, ‘Hysteria’. Those of you who know the band and follow them religiously would be aware the band’s premise was to make an album similar to Michael Jackon‘s ‘Thriller’. An album that would literally contain all bangers (hits) and nothing else, and they achieved that with gusto. The first time I heard ‘Hysteria’ I was not only blown away at the sheer level of production value on the album but also its consistency as every song offers something unique alongside its hugely popular seven singles. It’s an album you can put in and listen from start to finish and never be disappointed. Much the same can be said for the crowd who got to experience the album in its entirety last night, which included a cover of “Action” by The Sweet and notable singles, “Photograph”, “Rock of Ages”, “Let’s Get Rocked” and “When Love and Hate Collide” in which the venue lit up like a Christmas tree from the parade of mobile phones shining their lights toward’s the stage. Joe Elliot (vocalist) and crew were on point throughout the whole night feeding the crowd with their consistent energy. The biggest highlight of the evening for me was getting to hear one of my favourite tracks off the ‘Hysteria’ release, “Gods of War”. 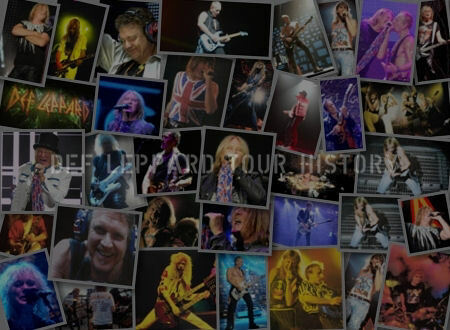 During the opening of the song, Def Leppard paid respects to Steve Clark showing a reel of footage of him performing from the ‘In the Round, in Your Face’ live release. For those unaware, Steve Clark was the principal songwriter in Def Leppard from 1979 until 1991 when he, unfortunately, died of a drug and alcohol overdose. I ’ve seen Def Leppard six times in Australia and never do they disappoint. Each tour has offered something exciting for fans, new and old. While it’s not certain if Sydney fans will get to see Scorpions in Sydney on Saturday night. One thing for certain is Def Leppard fans are in for a real treat with this special 30th anniversary ‘Hysteria’ tour in Australia. By The Sydney Morning Herald 2018.